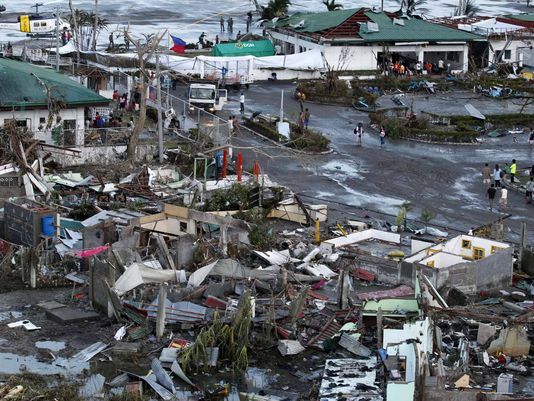 On Sunday morning November 10, 2013, I woke up with the devastating news of Typhoon Haiyan hitting the central islands in the Philippines, one of the worst typhoons in recorded history. Before long, I was inundated by phone calls, text messages and emails from friends, family and colleagues in Chicago and around the world asking if my family is safe and how they can help. I’m relieved that my extended relatives in the Philippines are all safe and that the four project areas in the Philippines where the Bayanihan Foundation works were not severely affected. The Bayanihan Foundation’s mission have always emphasized long-term partnerships and sustainable solutions to giving, rather than short-term disaster relief. However, by November 12, 2013, I’ve received an outpouring of emails, phone calls and text messages on colleagues on how they could help. I already received over $500 in unsolicited donations. So I felt the compelling need to help the thousands of disaster victims in Leyte, Samar and other islands in central Philippines. I reached out to the Bayanihan Foundation Liaison, Ms. Evelyn Castillo, a registered public health nurse. Evelyn has decades of international nongovernmental organizational (NGO) work in the Philippines. 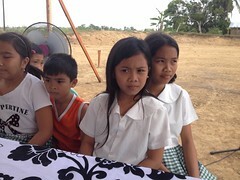 She is also from Samar, one of the islands affected by the storm. The Bayanihan Foundation will coordinate relief efforts with two local grassroots community organizations on the ground: 1) Angiporlosanon in Samar; and 2) Visayas Mindanao People’s Resource Development Center in Cebu. This ensures that 100% of your donation will go towards disaster relief efforts and long-term sustainability solutions after the disaster. The foundation plans to send food packs that will help hundreds of flood victims in Samar, Leyte and Cebu islands in the Philippines. 100% of your donation will go towards disaster relief and long-term sustainable solutions to help the affected victims of typhoon Haiyan. Board member James Castillo is already planning youth disaster brigades to help with disaster relief and preparedness for the youth in Cebu. You can donate securely online by clicking HERE. You can also mail your check to Bayanihan Foundation, 2020 N. California Ave. Suite 7 Box 147, Chicago, IL 60647. All your donations are tax-deductible as permitted by law. The Bayanihan Foundation is a registered, tax exempt public charity in the US. The Bayanihan Foundation earned a Silver Star rating at Guidestar for transparency and governance. This entry was posted in Diaspora Giving, Disaster Relief, Philippines and tagged diaspora philanthropy, disaster relief, Filipino diaspora, giving, Philippines. Bookmark the permalink.